The Mertzes and Ricardos take an oath not to brag about Little Ricky, now thirteen months old, even though Charlie and Caroline Appleby will no doubt drag out pictures of their son Stevie (born four days before Little Ricky) when they arrive for an evening get-together. Ricky also doesn't want to jeopardize a TV emcee stint Charlie has offered him, so when Caroline asks Lucy to "guess what little Stevie did before we left," Lucy can't resist countering, "Don't tell me he took a picture of you for a change." 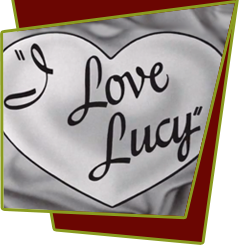 To get even, Lucy dresses Little Ricky in his finest duds and decides to pop in on Caroline the next day unannounced. The two mothers exchange barbs. Lucy: "When do you expect little Stevie to reach normal size?" Caroline: "He just seems small to you because you are so used to lookin at little fatty here." After putting the two boys in a playpen, the women continue their sarcastic exchange. Caroline: "Has Little Ricky ever said, 'Morning, Mommy'?" Lucy: "In English or Spanish?" Caroline: "You mean he speaks Spanish?" Lucy: "Only when he's mad." the session ends when Lucy accuses little Stevie of "scratching himself and peeling bananas with his feet." Certain that her outspokenness will cost Ricky the TV job, Lucy tries to talk him out of it: "Television's only a passing fad, like goldfish-swallowing and flagpole-sitting." Naturally, Ricky is furious when Charlie cancels the show, but Lucy insists she can remedy the situation. After singing "In Acapulco," Ricky introduces on camera Stevie Appleby as "a beautiful, adorable, and intelligent child."